Organizations that plan and design different types of camps for recreational purposes or otherwise, use a camp registration form. The form comprises of various segments that need to be filled in by the participants, such that the organization can record their details. The form may also comprise the details of the camp and the regulations that the participants may have to follow while going on the camp. You may also Useful Event Registration Forms. This form is mainly used by the people who are involved in planning different types of camps. The form would contain the details of each camp and the person can choose any one as per his needs. Whenever a person intends to enroll into a medical camp, he is required to fill in his details this form and hand it over to the authority concerned. The form may comprise of the terms that he should adhere to. 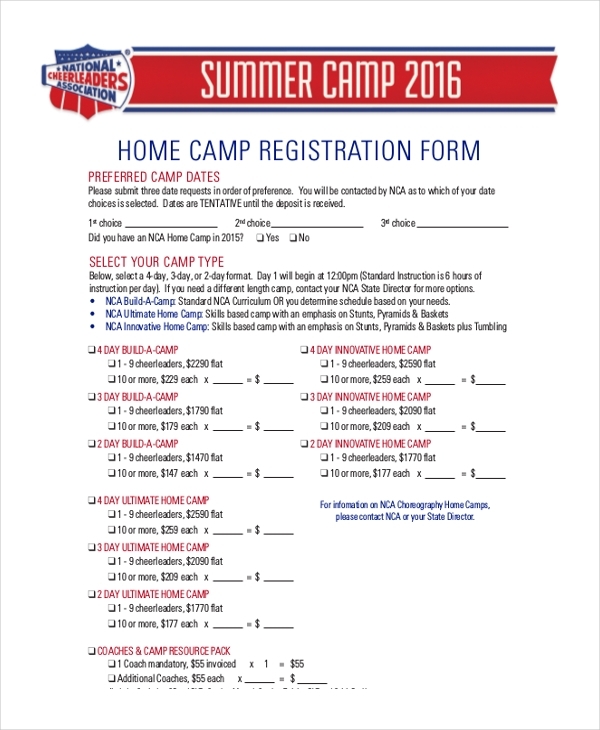 This form is mainly used by a person who may be interested in enrolling into a team camp. He is required to fill in his personal details in the form along with his medical history. This form is mainly used in organizations that design special summer camps for people. The participant is asked to fill all his details in the form before enrolling to the camp. 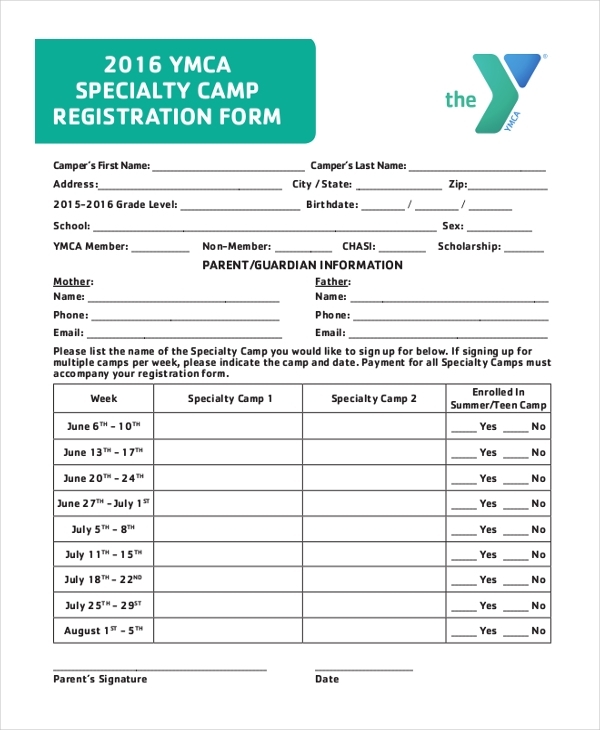 Any young child or minor who may be interested in enrolling into a camp is required to get this form filled with relevant details and duly signed by his parents/guardians. 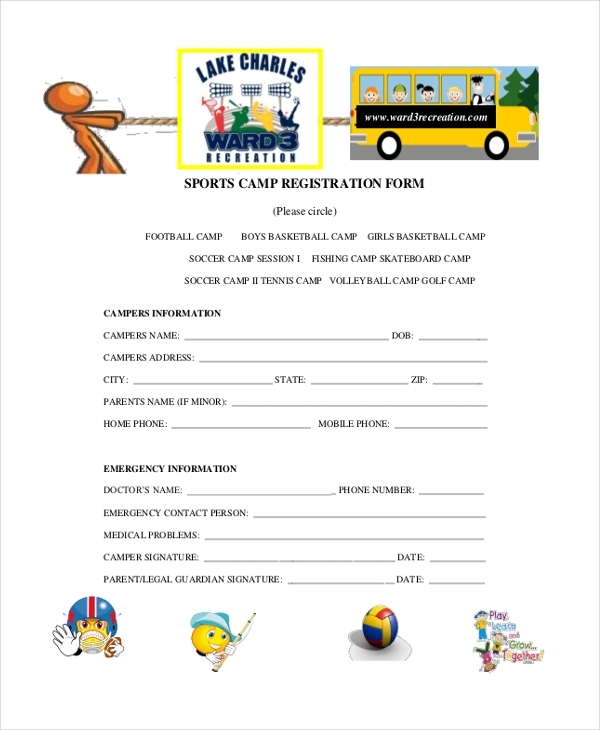 A person or child who intends to join a sports camp is asked to fill in this form with all the relevant details like name, age, address, medical history and choice of the sport. 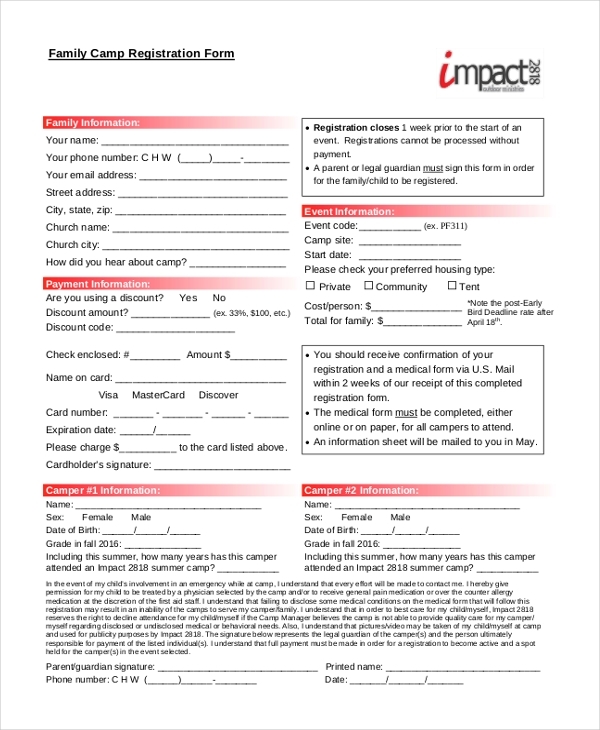 An organization that designs customized camps for families makes use of this form. The participants are asked to fill in the necessary details of each and every person participating in the camp. 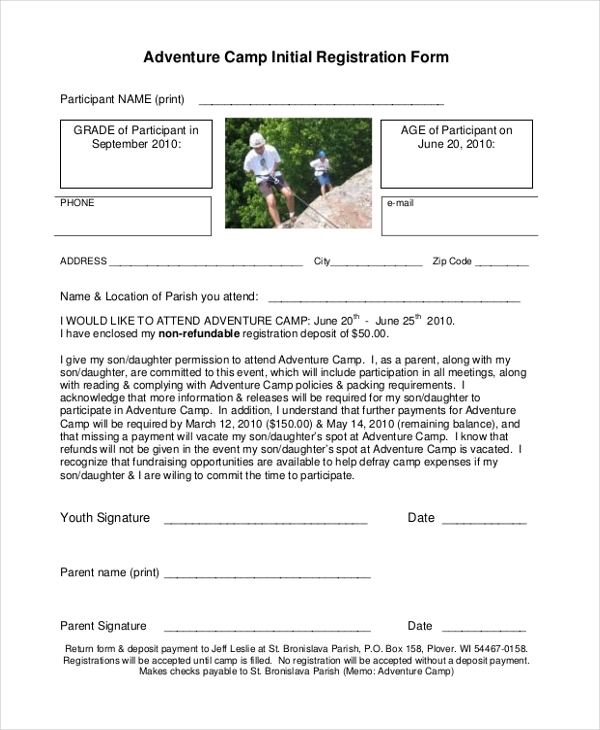 Any person interested in registering for an adventure camp is asked to fill all his personal and medical details in this form. The form may contain certain terms that the person is required to follow. This form is generally filled in by a person who may be interested in participating in a day camp. The form would mainly comprise of all the rules and regulations that the participant should adhere to. Whenever a person intends to enroll into a resident camp, he is required to fill this form with his personal details and medical history which may come in handy in case of an unforeseen event. Any person who may want to participate in a specialty camp can register into it only after he has filled the aforesaid form properly. He needs to share his personal and medical details in this form. Who is the Target Audience of Camp Registration Form? As is quite clear from the name, a camp registration form enables a person to register his/her name for a camp. Thus, this form can be used by any organization that plans a camp. Schools/Colleges to enable students to take part in any camp Sports Clubs to allow their members to join a sports camp Hospitals to invite more people to join their medical camps NGOs to allow people to register for their camps. Useful Payroll Register Forms. 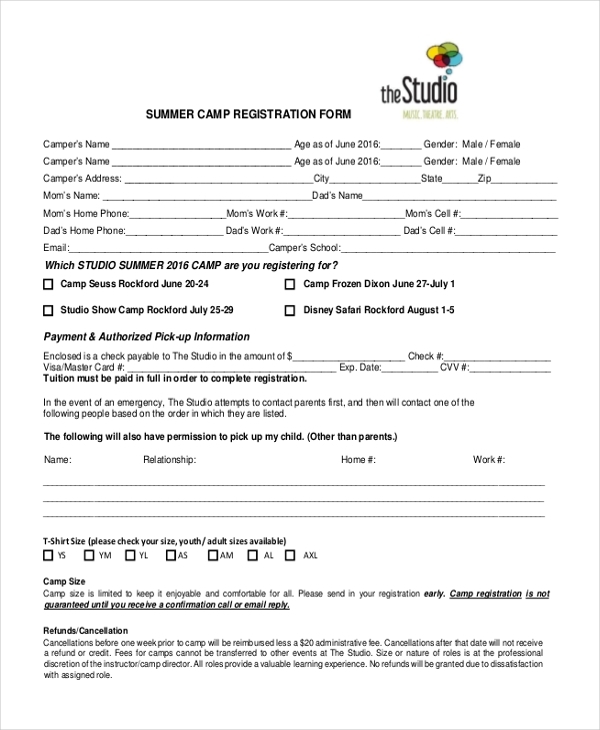 Why Should One Use a Camp Registration Form? When registering for a camp, a person is required to share his personal details and sometimes even his medical details with the authority concerned. Thus, if the authority planning the camp uses a form, they can add in different segments that would encourage the participants to share their details in an organized manner. This would also ensure that the participants do not leave out any integral information. 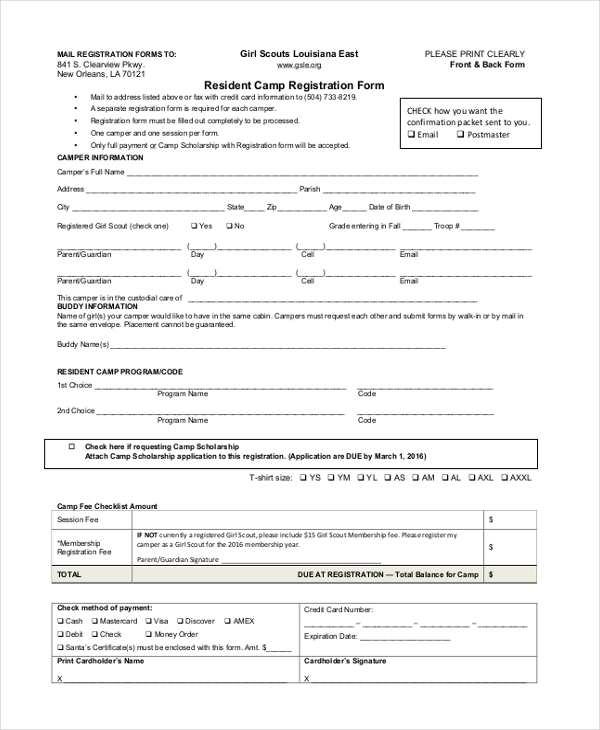 What are the Benefits of Using a Camp Registration Form? 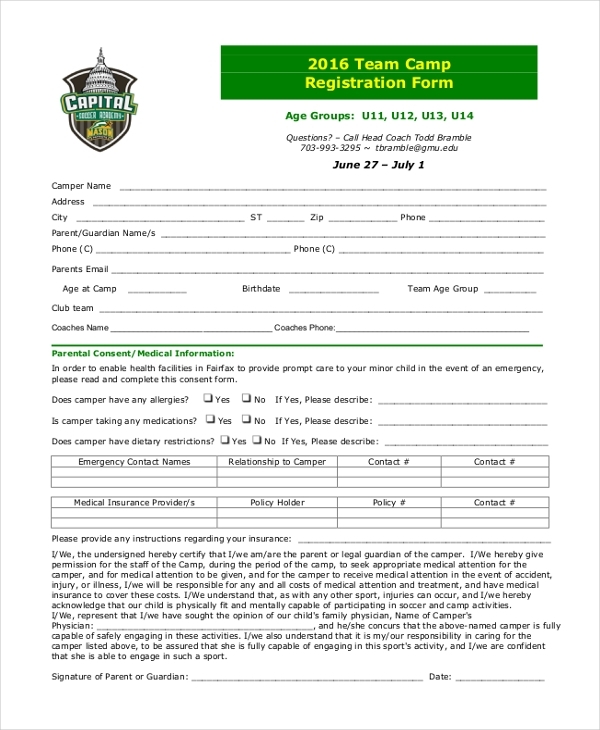 A camp registration form offers the authority concerned a uniform platform to gain necessary information from every person interested in signing on to the camp. With relevant subheads present, the participants find it easier to share the information with the organization planning the camp. The authorities can add in important terms and regulations that every person signing on should follow diligently. You can also see School Registration Forms. Designing an efficient camp registration form is no mean task. You need to make sure that you add all relevant subheads that would extract maximum information from the people. If you are not sure how to do this, fret not! Just look for camp registration forms online. Find the one that suits your requirement, download it and make necessary changes to personalize it.